» fupre » music » Fenne vs Smarty lee... Who is the King of Beef ???? 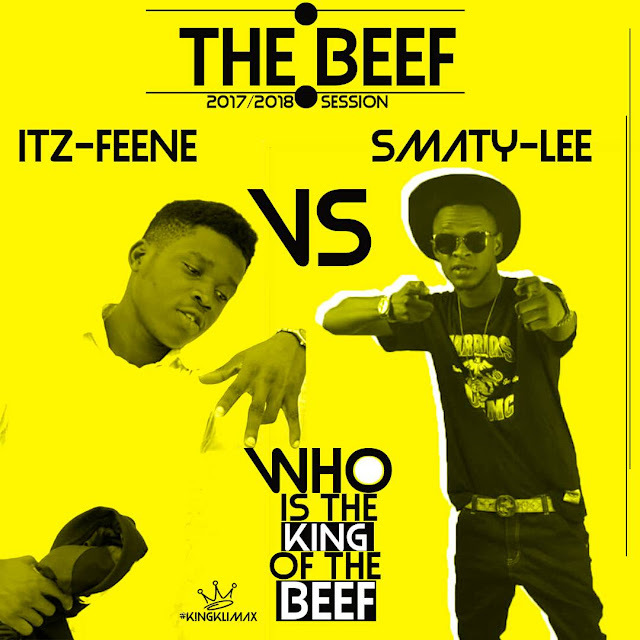 Fenne vs Smarty lee... Who is the King of Beef ???? It has been a tug of war between this two rappers on FACEBOOK .... Really I don't know what started the beef but I think the beef came up upon smart hearing his name in Fenne's HIT TRACK song "FUPRE DISS 2"
"...GOD OF RAP, I THINK SAY YOU FOR DON GET SENSE AT THIS YOUR OLD AGE, HE SAID HE IS THE FATHER, WHILE AM THE SON. LET ME ADVICE YOU , LEARN FROM ME WHER U CALL YOUR SON, WHY COMPLAIN, YOU FEEL MY HIT, AND AM STILL YOUR SON, I NO NO WHY PERSON GO DEY, NA TO START TO HATE. YOUR BEST TRACK SEF AND MY WORST TRACK SEF NO BE MATE. GOD PLEASE HELP THIS MAN"
2017/2018 session will be a great and interesting one. WHO IS THE KING OF BEEF??? Title : Fenne vs Smarty lee... Who is the King of Beef ???? 0 Response to "Fenne vs Smarty lee... Who is the King of Beef ????"